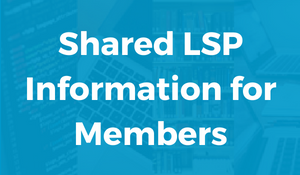 The SLSP Steering Committee is a standing committee that provides oversight for the Shared Library Services Platform (SLSP) and facilitates alignment to PASCAL’s strategic agenda. They will also resolve conflicts and vet high-level recommendations from the SLSP Implementation & Management Team and SLSP Working Groups. The SLSP Steering Committee reports to the PASCAL Board. 7-9 people who must be representative of the diversity of the PASCAL member libraries. The PASCAL SLSP Coordinator will serve ex officio. A member of the PASCAL Board will serve ex officio. Members of the SLSP Steering Committee, with the exception of the ex officio members as defined above, may not serve on the PASCAL Board, SLSP Implementation & Management Team, or the SLSP Working Groups. Steering Committee members do not represent their institutions, but rather use their background and experience to inform the team's efforts to work for the good of the entire PASCAL membership. The work of the SLSP Steering Committee should be adjusted by their institution so that consortial work is not seen as “extra”, “volunteer”, or “as time allows”, but rather an important formal assignment. Members of the Steering Committee are elected by the PASCAL membership. Voting procedures are determined by the Board. PASCAL member library staff can nominate themselves for the Steering Committee or be nominated by others. A nominee’s respective library dean/director will be consulted prior to the proposed member being added to the electoral ballot for the Steering Committee. Each PASCAL member library will complete one electoral ballot with votes being cast by the Library Representative. Each library will vote for the complete slate of candidates, not just candidates from their own community of interest. In their first meeting of the year, the Steering Committee will discuss and mutually agree upon appointing a chair and chair-elect of the Steering Committee. The chair will serve in their position for one year. In the event that a chair-elect is not able to serve as a chair or a chair/chair-elect must step-down, the Steering Committee will discuss and mutually agree upon appointing a chair and/or chair-elect of the Steering Committee, as soon as possible. Each member and their library dean/director or appropriate University administrator will be asked to review the responsibilities and expectations for the Steering Committee outlined in this document and confirm their commitment to serve via email. Members will serve a rolling two years. In the first year of the Steering Committee some members will only serve 1 year. Those members serving 1 year will be determined by lot. Should a Committee member resign prior to completion of their term, nominations for replacement will be sought following the standard election guidelines. Nominations must reflect the community of interest represented by the resigning member. The newly elected member will serve out the duration of the resigning member’s term. Coordinate between the Implementation & Management Team/Working Groups, PASCAL SLSP staff, Library Representatives, and the PASCAL Board, as necessary. Ensure that the SLSP work of the collaborative management architecture is in alignment to PASCAL’s strategic agenda. Work towards developing smooth implementation and migration processes with the Implementation & Management Team. Discuss and make definitive decisions on issues received from the SLSP Coordinator, Library Representatives, and/or Working Group(s) that could not be resolved at the Implementation & Management Team level. Serve as the appeal board for conflicts when the SLSP Coordinator is unable to provide a satisfactory resolution. Ensure that Library Representatives are working appropriately. Work with the respective dean/director to appoint new Library Representatives, if needed. Coordinate with the PASCAL Board and Finance Committee to manage budgetary considerations related to the SLSP, including the purchase of new modules, functionality, services, and/or training as required. Ensure timely and effective communication through all communication channels. If the Steering Committee member also serves as a Library Representative, they will need to understand that in this role, they will be representing the SLSP first and their institution second. However, when they are doing the work of the Representative, they are doing so with their institution’s best interests in mind. Communicate through email, listservs, and other communication methods targeted to the Steering Committee. Communicate any decisions made by the Steering Committee to the SLSP Coordinator, the Implementation & Management Team, the PASCAL Board, and/or the Library Representatives as appropriate. Send written updates to the Board at least once a month. Ensure that minutes of the meetings are posted to the PASCAL website and distributed via appropriate communication channels. The SLSP Steering Committee reviews real and potential conflicts communicated to them via the SLSP Coordinator, Implementation & Management Team, Working Group(s), Library Representatives, and/or staff at PASCAL member libraries. The Steering Committee will consider all options in reviewing the conflict and will actively work to resolve the conflict, so that progress can be made. Their decisions will be communicated to the relevant SLSP stakeholders. Questions related to finance and governance of the SLSP are the purview of the PASCAL Board. However, the Steering Committee is the decision-making body of last resort for resolving conflicts related to the implementation and management of the SLSP. The Steering Committee will coordinate with the PASCAL Board and Finance Committee to contribute to budgetary decisions related to the SLSP, including the purchase of new modules, functionality, services, and/or training as required. SLSP system training as scheduled by the Implementation & Management Team. In-person and/or online training with PASCAL staff. Steering Committee training will convey responsibilities, expectations, workflows, and decision-making parameters. The Steering Committee members will also be set-up on and trained in any communication methods such as listservs, conferencing software, etc. In-person and/or online training and support to existing Steering Committee members as required. This document last updated June 8, 2018.